If you know your customer, you’ll know what they want from you and from the products they buy. You need to know who you’re talking to in your marketing materials so that you know how to connect with them, not just talk at them. Ask them what they want. Yep, it can be that simple! Just ask – when they are in your store, by email or mail or by comment cards. Do some postcard printing and mail out postcards with short, tear-off surveys that can be sent back to you, postage prepaid. If you have a Web site or blog (and you should have one of these by now), leave a place for comments and questions. Web sites have made it easy to get candid feedback because people can remain anonymous, which means they can be more honest. Imagine yourself as your customer. You should know the basics of your customers’ lives – are they married? Where do they live and work? Do they have kids and/or pets? If you have a website, set up a popup or a link on your site where customers can respond to a survey. If you have a mailing list, email them and send a survey request. If you have a store, hand over a short questionnaire that they can answer. Ask them what they are looking for, what they think about your website, and some general information about themselves. To get more responses, offer incentives like gifts and prizes to those who actually respond. You can use services such as SurveyMonkey for easy gathering, tabulation, and reporting of data. Sometimes just asking them won’t give you good results because people like to be nice and don’t want to hurt your feelings. Try to imagine what your customer is feeling when he or she walks in your store – what attracts them? What repels them? Go through your store as if you were a customer – are things easy to find? Do whatever you can to get in the minds of your customers. 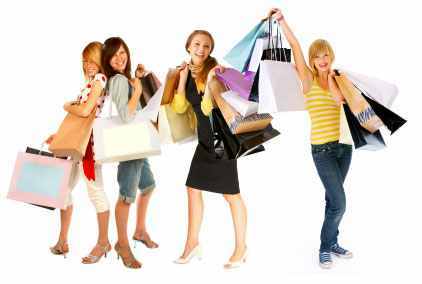 If you have resources, hire a mystery shopper to give you an idea of what customers think about your business. Surf the ‘net to find customer opinions. Sites like Epinions.com, review sites such as Yelp.com and blogs and forums related directly to your product or industry can give you great insight into your customers’ opinions. If you are a handyman, get an account with Angie’s List; it’s a paid subscription site but the insights you can get from criticisms and praises given to your competitors (as well as your business) can be very insightful. People can and are blunt on the Web. You can read specific complaints, gain better understanding of what customers want, and even sometimes get ideas on how to fix something that’s wrong. What are your customers’ Googling? Google has keyword research devices that you can use to see what keywords are using to search for your products and products like yours. You can find out what people are searching your competitors’ Web sites for, and what your competitor has that you don’t on your site. Talk to your competitors’ customers. You can do this in-person by perusing your competitions’ stores, or online on their Web sites or on forums. Find out what customers like about your competitors and see if you can do that same thing better. You may even gain insight into activities that you do as well as your competitors, but people just don’t know you do it. That’s a big flag that you aren’t marketing the right aspects of your business or that you aren’t using language that your customers understand or pay attention to. Slice and dice your analytics data. You can also use your web analytics to dig deep into your customers. Instead of saying, “Traffic increased!,” look at what segment of the traffic actually increased. Is it traffic from search engines? Is it return visitors? Is it traffic associated with a particular country? How are these new visitors converting? Don’t look at your general numbers: instead, break down your analytics to find more actionable insights.